John MacDonald, Professor of Criminology, says lessons about environmental stressors and crime can be extended to the relationship between heat and crime. John MacDonald, a professor of criminology and sociology, and emergency medicine physician Eugenia South collaborated on a prior study on environmental stressors and their impact on crime. There are many ways to beat the summer heat: retreating to an air-conditioned space or taking a dip in a pool, to name a few. But when relief is hard to come by—especially common in communities in which resources are stretched thin—data show that high temperatures, combined with high-stress situations, can lead to violent confrontations. The research has become more sophisticated in recent times, charting specific instances like heat waves and temperature fluctuations in a particular location, and has consistently shown increases in violent crime in comparison to cold weather. In a temperature-crime analysis published in the Journal of Urban Health, Drexel University researchers polled Philadelphia crime data from 2006 to 2015 and found that during warmer months, violent crime rose by almost double digits when the heat index was 98 degrees compared to days when the temperature was above 57 degrees. During colder months—October through April—crime was up 16 percent on 70-degree days as opposed to 43-degree days. And it’s not just limited to the U.S., as MacDonald suggests. The BBC reported this past July that data from the London Metropolitan Police show that between April 2010 and June 2018, violent crime was, on average, 14 percent higher when the temperature was above 68 degrees than when it was below 50 degrees, and that harassment and weapons possession offenses were each 16 percent higher. So how does a city combat a phenomenon dictated by nature? MacDonald has studied a similar dynamic when it comes to habitat and crime. 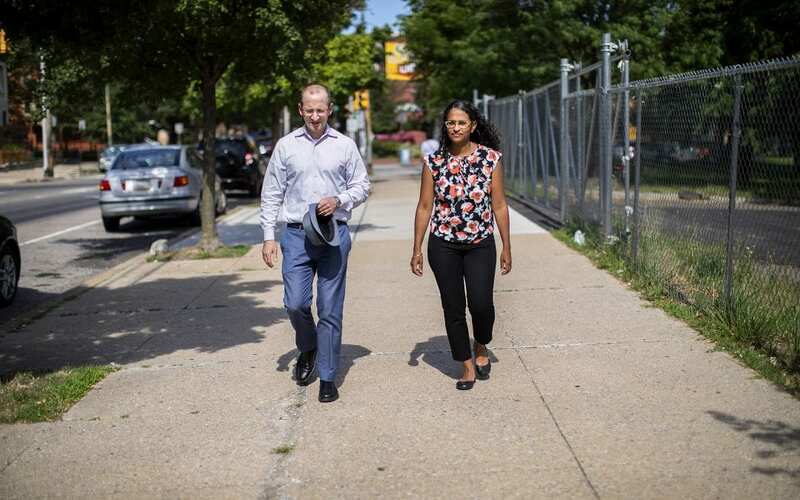 In a recent study, he and Penn Medicine physician Eugenia South, found that mental health improved when vacant lots were remediated. When it comes to heat, MacDonald says there are practical policy implications to be found that would improve both the community and personal well-being.